Just Roof Lanterns are delighted to introduce our made to measure bi-fold / sliding folding doors which offer the opportunity to introduce spacious openings and that when folded back will be completely uninterrupted by framing. The greater perception of space is highly appealing and allows you to let the outside in with an easy fold and slide operation. 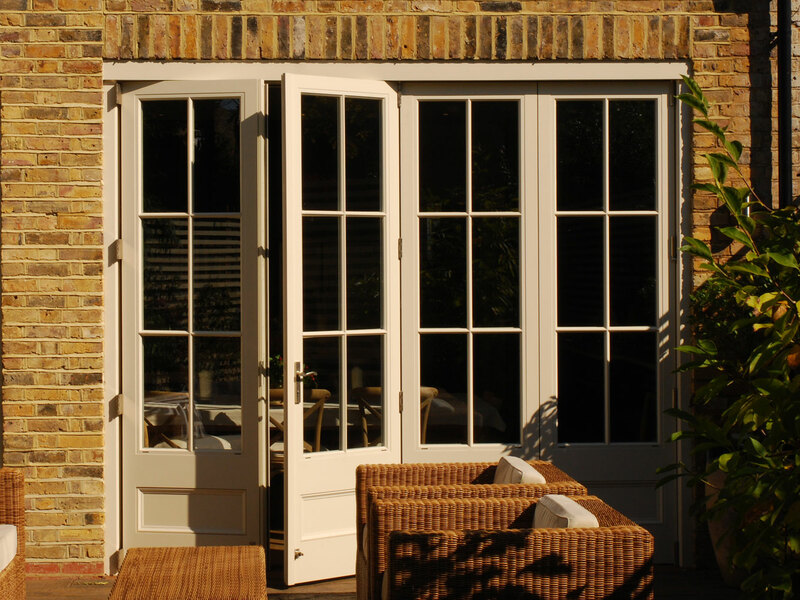 Each door set is individually made and beautifully constructed in timber. The doors, combined with a state of the art tracking system perform seamlessly. We do not have standard sizes or standard designs; each set of doors is individually designed and can be specified in wide range of different configurations depending on your needs. Perhaps you live in a period property and wish to combine the modern functionality of the fold and slide mechanism with a more traditional aesthetic? 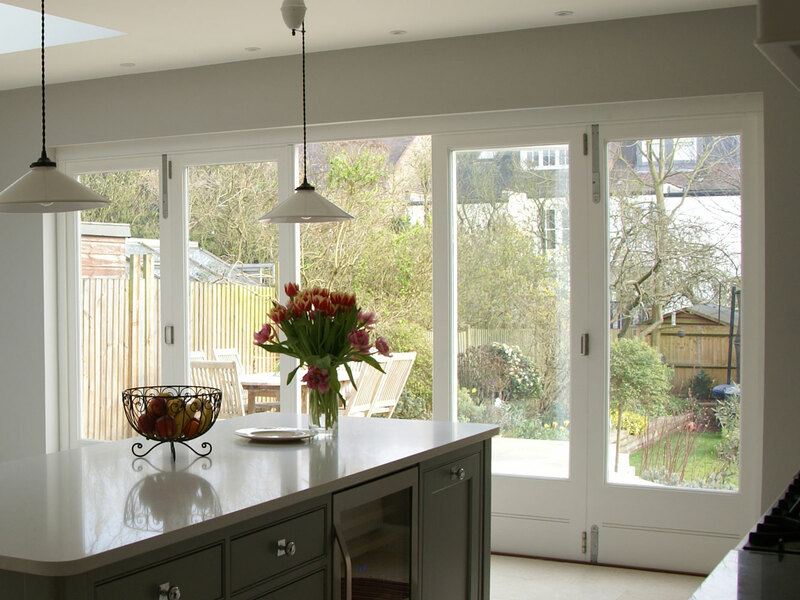 Our sliding folding doors can incorporate designs you might more readily see on traditional French doors such as panel bases and glazing patterns. Or perhaps you’re creating a contemporary extension and wish to incorporate full height, plain glazed sliding folding doors for a modern look? 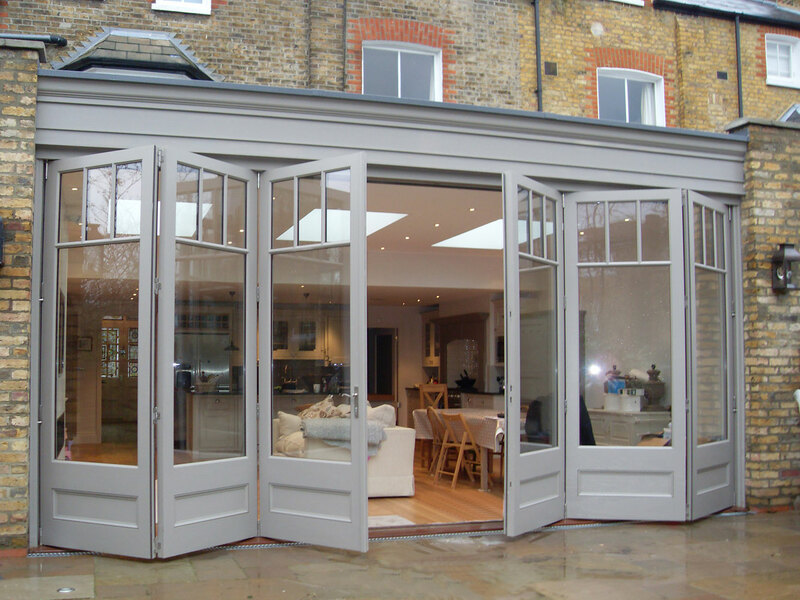 Our bespoke sliding folding doors are made in engineered timber. In addition to the environmental benefits, the lamination process creates a highly robust, durable material. Qualities such as exceptional rigidity, resistance to indentation, shock loads and bending, together with a natural resistance to wood rot and fungal attack, combine to make it the obvious choice in the manufacture of our doors. High-performance double-glazing units ensure optimum thermal efficiency. The sliding folding doors come with multi-point locking mechanisms and a choice of premium grade ironmongery. Please contact us for a quotation or fill in a simple form.